The Fed New York recently reported that we have officially surpassed the US household debt record from its height of $12.7T during the 2008 recession to $12.8T in 2Q 2017. In case you are wondering, the main drivers of this climb were student and auto loans, while mortgage and credit card debt both decreased in the same timeframe. This may give you food for thought while contemplating lending activity including credit card offerings. While many community banks currently offer credit cards, it could be argued that this hasn't been a hot area of focus. But, as the economy rebounds, this trend is beginning to shift. Community banks are looking at renewed opportunity for business and consumer customers for fee income and increasing loyalty with the bank. Also, while community banks may feel larger counterparts dominate credit cards, recent research finds community banks may actually be doing better in this segment. Indeed, while larger credit card-issuers are seeing lower profits, community banks are finding new opportunities as interest rates rise. The Fed released data in July showing profitability among the country's largest credit card banks (defined as a financial institution that commits more than 50% of its assets to loans and 90% or more of those loans to credit cards) dropped just over 4% last year. Meanwhile, many community banks that have offered credit cards through rote agent bank programs are beginning to assert more influence. Banks are embracing self-issuing models that demand more responsibility, but also promise more potential profit. Many community banks that have not, until now, offered any credit card products are beginning to get on board. Credit cards are seen as yet another valuable offering in the product mix, since credit card payment is so vital to bank customers' day-to-day financial dealings. What has changed? Other than rising interest rates, there is strong job growth and increasingly positive consumer spending sentiment. 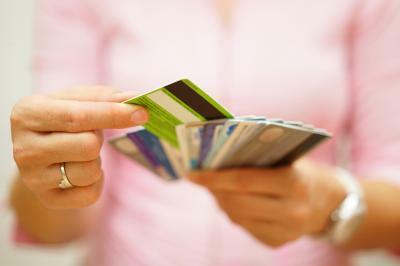 This has fueled a renewed growth in credit card spending, according to Visa. Bank customers' dependence on cards and alternative (or online) currency has grown, just as reliance on cash and checks has been on the decline. Also, a raft of new innovations in the payment card space in recent years have made credit cards an even more compelling bet to consider for boosting non-interest income and brand awareness in one fell swoop. Look no further than the addition of a more secure chip, to the rapid growth of reward programs or even mobile wallets. These all come at a time when community banks are facing shrinking margins in other areas, so they are welcome additions and opportunities indeed. According to some vendors, even community banks that sold off their card portfolios are considering or may be getting back into the business. One reason could be a high relative ROA vs. other loans augmented by the data that can be gleaned from credit card accounts and transactions. Of course, building or beefing up a credit card program can be tough, especially for a community bank with limited resources. While small card issuers may lack the capacity of larger banks to offer valued rewards programs, community banks can make their own offering with more personalized service than bigger banks. In leveraging your high level of service, the chances of your customer using your card increase. Another consideration is how much of your credit card program you want to manage internally and how much you want to hand off to someone else to handle. All of these are important considerations, but given it is strategic planning time we thought we would surface it as a potential discussion item. Yields inched up 1bp as investors mulled over the latest ECB and Fed statements. Equifax reported hackers got into some of its systems from May to July, and while it potentially impacted about 143mm Americans, the company found no evidence of unauthorized activity on its core consumer or commercial credit reporting databases. Hackers reportedly exploited a website application vulnerability. Equifax said credit card numbers for 209,000 consumers, along with sensitive information for another 182,000 were accessed. Tell customers & employees to go to www.equifaxsecurity2017.com to see if they are compromised. While it is still unknown exactly how much Hurricanes Harvey and Irma will cost the US, estimates are $180B for Harvey and $200B for Irma. This compares to the 5 prior costliest natural disasters in US history of Hurricane Katrina ($160B), Northridge earthquake ($74B), Hurricane Sandy ($70B), Hurricane Andrew ($47B) and the 1988 drought ($42B). Bank of America reports mobile deposits now represent 21% of all deposits vs. 17% a year ago. Look for ongoing branch closures and shifting product delivery. NY Fed President Dudley said the FOMC should continue to gradually increase rates despite below desired inflationary levels. Meanwhile, Fed Cleveland President Mester said the FOMC does not need to see its policy goals met before raising rates again and that increasing rates would help sustain the economic expansion. She also indicated it will take several years for the Fed to reduce the size of its $4.5T balance sheet, but there was no reason to delay beginning that process. More Capital: 20Ys ago the FDIC reports institutions with assets <$1B held a combined $130B in capital vs. $147B as of Q3 2016 - an increase of about 13%.